The world’s most advanced and complete nitrogen plastic welding kit. 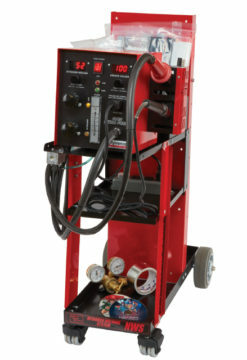 The Polyvance 6085-C Nitro Fuzer Welding System is the most advanced nitrogen plastic welding equipment available. It comes with everything you need to get productive right away doing the fastest, strongest plastic repairs on virtually any type of plastic. Welding with nitrogen gas creates the strongest welds possible because it eliminates oxidation of the plastic during the welding process. Stronger than any 2-part epoxy or hot air weld. Plastics are melted together with no oxidation to form a permanent weld. Complete repairs in a fraction of the time of 2-part epoxies. Can weld 4 inches to 6 inches per minute. Then finish, prime, and paint. Do repairs that are not possible with 2-part epoxies. 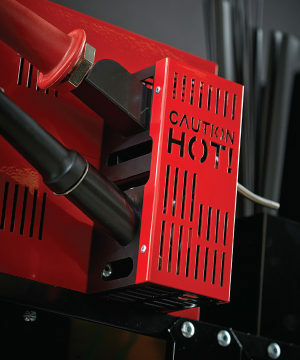 Mounting tabs (thick or thin), grille bars, high-stress areas, flexible tabs, and fender liners. Not just for automobile plastics. An average 6 inch repair costs less than $2.00. You pay that much just for the mixing tip with the 2-part epoxy. The same epoxy repair can cost over $30.00! With automatic air/nitrogen selection, airflow gauge, and pressure-safe cut-off switch, plastic welding with nitrogen gas is virtually hassle free. Gives you more flexibility in the estimating process. Save total losses. Get an edge on the competition. A bargaining tool with insurance adjusters. No need to replace bumpers, headlights, and other plastic parts. Keep the labor dollars in-house. Repair the damage to the bumper and blend the color in the panel. Avoid the risks and costs involved with blending into the undamaged fenders. Interested in a demo? Contact Us Using the Form Below.